When colors errors occur, whether there is confusion between customer specifications and production output or batch-to-batch color variation, the result is costly waste and rework. The X-Rite Ci6x family of sphere spectrophotometers, together with NetProfiler, Color iMatch and Color iQC software, reduce rejection rates and scrap and improve time to market and profitability. With a variety of configurations and price points, the Ci6x family offers solutions for organizations of all types and sizes. This entry-level standalone sphere spectrophotometer is ideal for use in QC, receiving, in the field or in the manufacturing plant to ensure color quality. 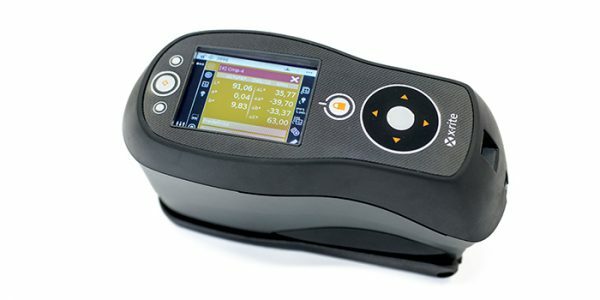 The X-Rite Ci62 portable sphere spectrophotometer is a high-performance instrument uniquely suited for ensuring accurate color, especially on metallic, reflective or uneven surfaces.